How To Build The Perfect Glass Extension? Sometimes all your property needs is a little extra space and light to improve its value and your lifestyle. 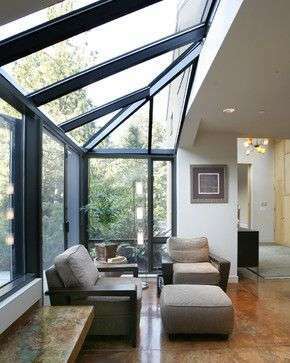 While many homeowners opt immediately to install a conservatory, this isn’t always the best choice. A conservatory may not cost an awful lot but unless you install additional heating and cooling, it can be freezing cold in winter and sweltering hot in the summer. For something a little attractive and more consistent in temperature you can always look into having a glass box extension installed instead. What exactly is a glass extension? Glass extensions are an adventurous way of adding a bit of glamour to your home while still constructing a spacious and useful new area. 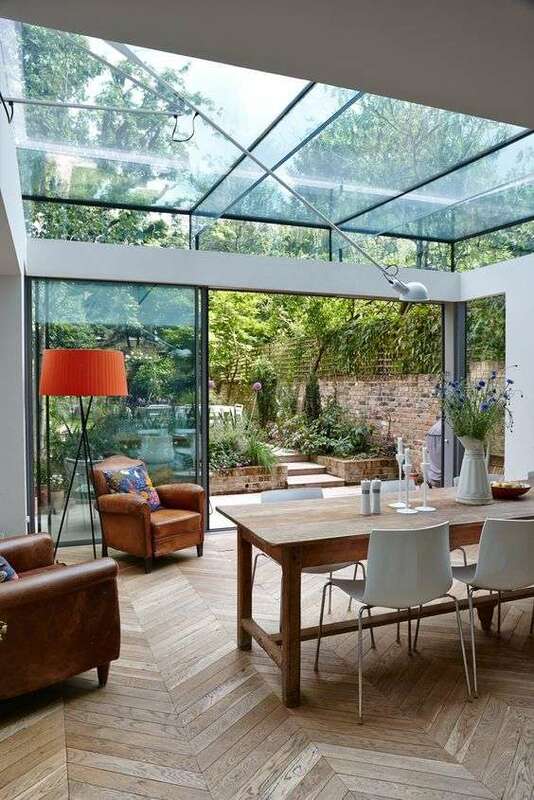 Usually consisting of no more than two glass sides and a glass roof or ceiling, these extensions are a great way to offer a seamless view of your garden and really accentuate that indoors-outdoors atmosphere, where basking in the sun or sitting under a relaxing rainfall are all part of the same experience! Glass extensions can be installed quickly and easily by specialist or local contractors, and cost a lot less than you might think. 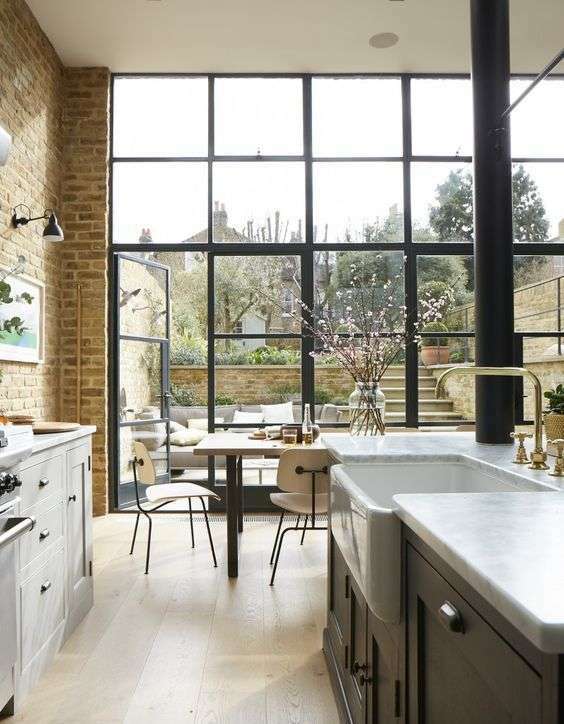 Glass extensions are great for a range of homes of various sizes and shapes – whether you live in the bottom floor of a fancy new apartment block or in an old renovated farmhouse, it is unlikely that you won’t be able to have the feature installed on your property. You won’t have to stick to a uniform design either – you can plan yours to blend in neatly with the rest of your home well before any building work gets underway. The glass panels are held together with a special adhesive resin known as structural silicon – which is basically really powerful, industrial strength glue – so you don’t have to worry about it falling apart any time soon. If you are worried about a 100% glass design, however, you can balance the extension out with steel or timber frames – just make sure you check this over with your architect first. Most glass extensions are now installed using high quality double glazing that is manufactured with a thin coating of metal oxide on its exterior (also known as Low-E glass). This allows heat and light to easily enter the home, but the glass’s special solar-control properties prevent around 80% of such heat from escaping – keeping your home feeling cosy in the winter and almost tropical during the poor British summertime. If such glass proves too expensive you can always construct your extension from standard double glazing, which still contains an inert argon gas in between the glass sheets that also prevents heat in the area from diffusing too soon. And if you’re worried about it being too hot, glass extensions can even be installed with interior blinds – so the temperature control is completely down to you. Is no more than four metres tall or one storey high. Is not by any highway or A-road, or isn’t being attached to a listed building. Isn’t blocking the neighbours view from a standard upstairs window. These are, of course, just quick guidelines, and before any building work begins you should hire a property surveyor to determine whether you will need planning permission or not. If you remain unsure about the rules and regulations for your home or area, you should contact your Local Authority or Planning Office for free information and advice. 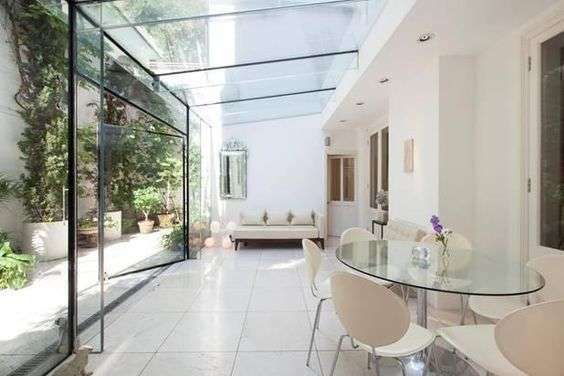 When planning to build a glass extension, you need to have a budget of at least £3,000 per m². Try using a online extension calculator to estimate the cost more accurately. Glass extensions for houses are actually a lot cheaper than they might sound. The real cost of a glass box extension is in the design you choose and subsequent engineering and testing of the glass that you might need shaped especially for your project. So if you want to keep prices down hire a local contractor who might already have some design ideas and/or materials in mind. 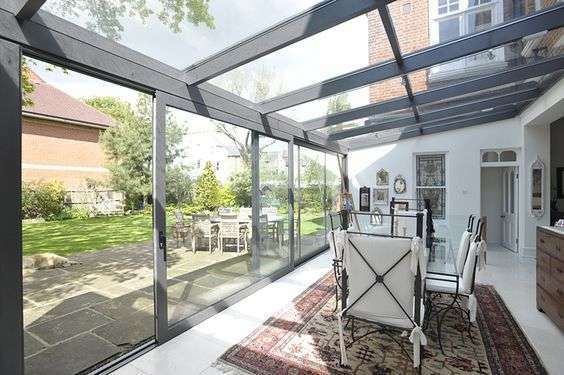 It all depends on the size of your home and what sort of style you opt for, but generally glass extensions come in anywhere between £10,000 and £25,000. 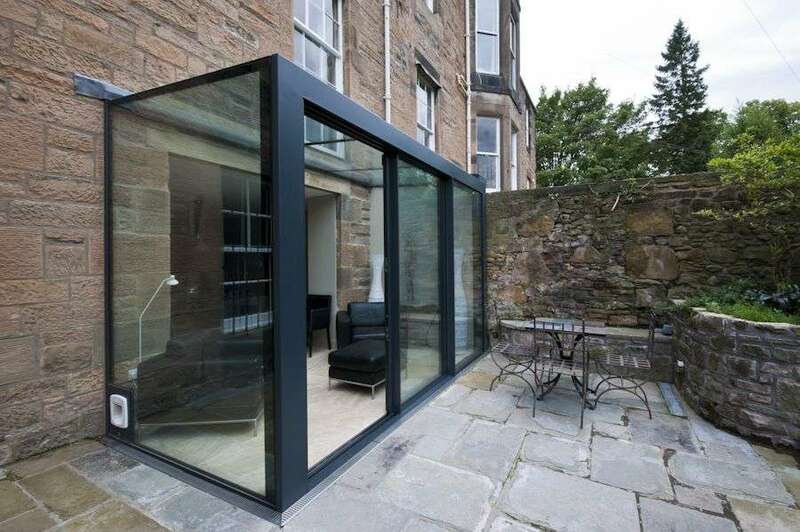 Glass box extensions are also guaranteed to add value to your property, especially if you live in a quiet, secluded area or in the middle of a bustling, vibrant city. You’ll have to check with your estate agent first, but depending on the area they can add anything between £18,000 and £45,000 to an average-sized property. This makes the whole project not just a fantastic, stylish addition for your home, but a great money-maker in the long run too! There are plenty of design options when it comes to your glass box extension as there are many other structural components involved in building it. When it comes to choosing a frame for instance, you will need to be as thin as possible, so that your glass extension looks stylish. To improve the exterior and interior appearance of your glass extension, a powder-coated aluminium is often a good option, as different glazings can be applied in the factory, giving a different look to the glass extension. Also, the way the completed extension looks will be greatly affected by the type of the panels (fixed, bi-fold, or slide open). Other factors affecting the design of your glass extension are the existence of a solid roof or a brise-soleil, or sun shield, to prevent too much sun from entering the glass room. These structural solutions, will also need to be incorporated into the design and will again alter the character of the project. 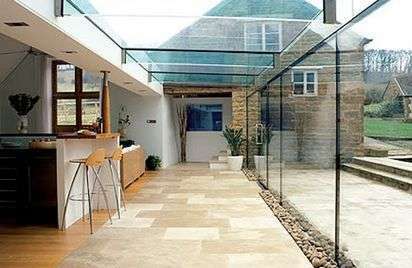 If you are looking for glass extension ideas for your house, the following ones might help a little! Extensions conversions, Outbuildings How To Build The Perfect Glass Extension?